In early 2000, a poll was opened for anyone who wished to participate in voting for their top destinations (from a list of over 200). From this list the Seven Wonders of the Modern-Day World were revealed. They are Petra (Jordan), Machu Picchu (Peru), Taj Mahal (Agra, India), The Roman Colosseum (Rome), Chichén Itzá (Mexico), Christ the Redeemer Statue (Brazil), and The Great Wall (China). Each monument earned a deserved spot on the list—as all are UNESCO World Heritage sites and some of the most visited places in the world. Keep reading to learn about the new world wonders and why you should consider them for your next getaway! Constructed by the Nabatean kingdom between the 4th century B.C. and 2nd century A.D., Petra is unlike anything else. This famous archaeological site was deliberately located along early trade routes, from Arabian incense to Chinese silk to Indian spices. Found between the Red Sea and Dead Sea and among the Arabah valley mountains, the city was half-built and half-carved into mountainous rock, making for a breathtaking sight. 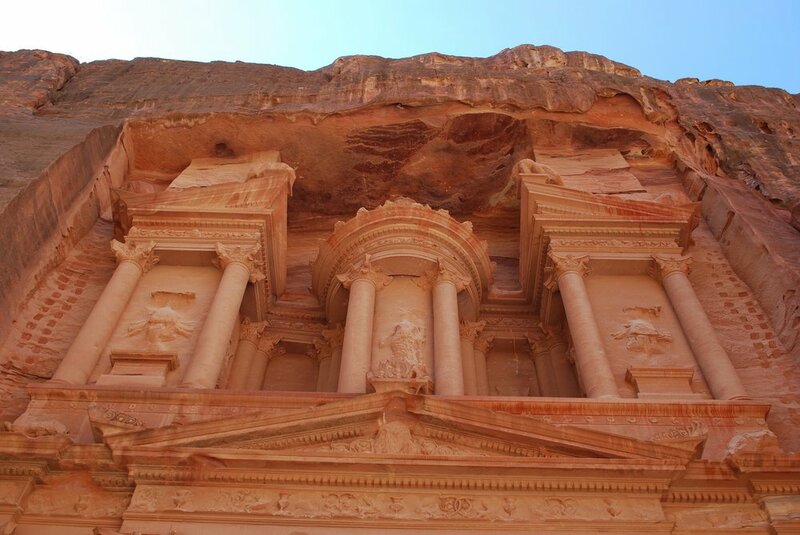 Petra is often referred to as the “Rose City” due to the pinkish hue of the rock. A trip to here will feel like a journey back in time as you explore this ancient town, strolling through winding passageways and gazing upon the Hellenistic architecture. 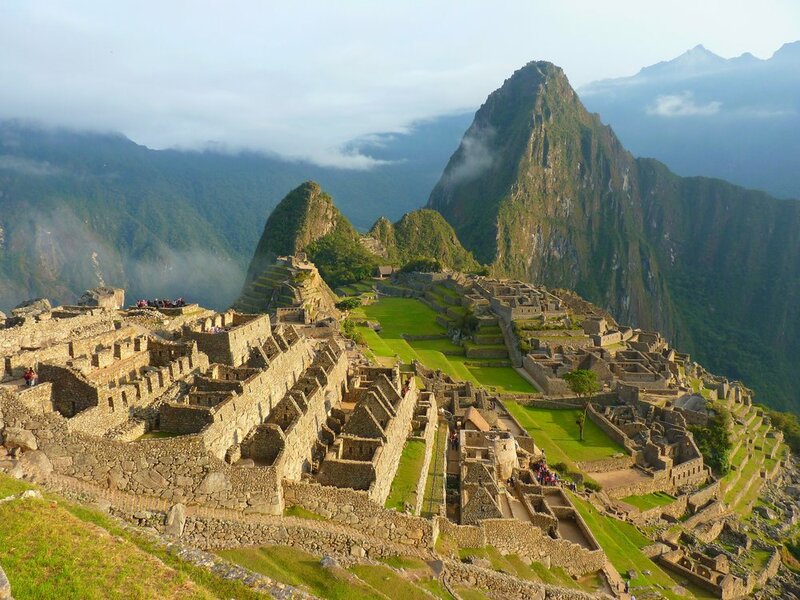 Built by the Incas in the 15th century, Machu Picchu is one of the world’s most iconic destinations and an obvious choice as one of the 7 Wonders of the World. This pre-Colombian settlement is so important because it’s one of the few that remains today. A great deal of mystery still surrounds the citadel, often viewed as the most impressive Inca accomplishment. It’s believed to have been an estate for the emperor Pachacuti, and although it was abandoned when the Spanish conquered the empire, it was not discovered until 1911. Today, visitors can arrive by way of train or hiking the challenging Inca Trail. This otherworldly site should definitely find a spot on every traveler’s bucket list! The setting sun glistening off the reflecting pool and onto this gleaming mausoleum is a sight that’s hard to beat. This marble marvel was built between 1632 and 1648 by Mughal emperor Shah Jahan. It took over 20,000 workers to get the job done, and the result is stunning. The Taj Mahal is one of the most easily recognizable buildings in the world and the inspiration behind many trips to India. 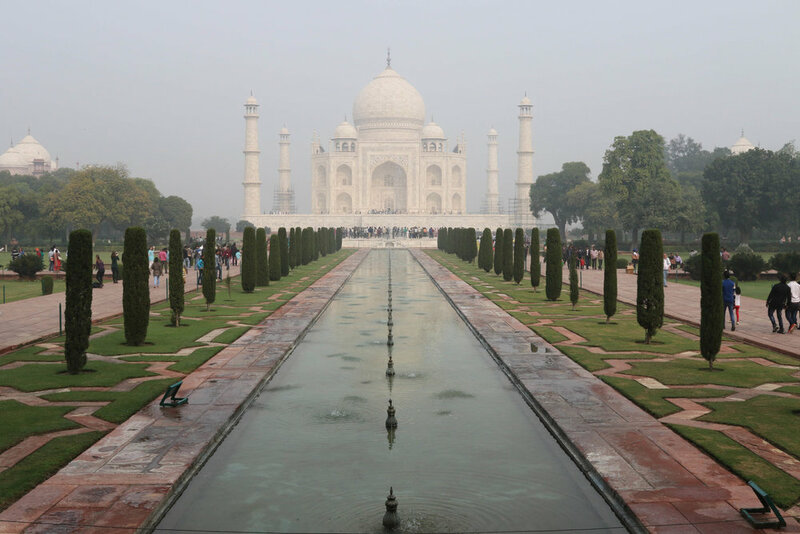 This white mausoleum is a perfect example of Mughal architectural style, which emphasized symmetry and balance. Stroll down the red brick walkway and through the lush garden to really take in the site’s beauty. The Colosseum is the world’s largest amphitheater, and it was commissioned by Flavian emperors during the Roman Empire’s first century, taking ten years to complete (72-82 A.D.). 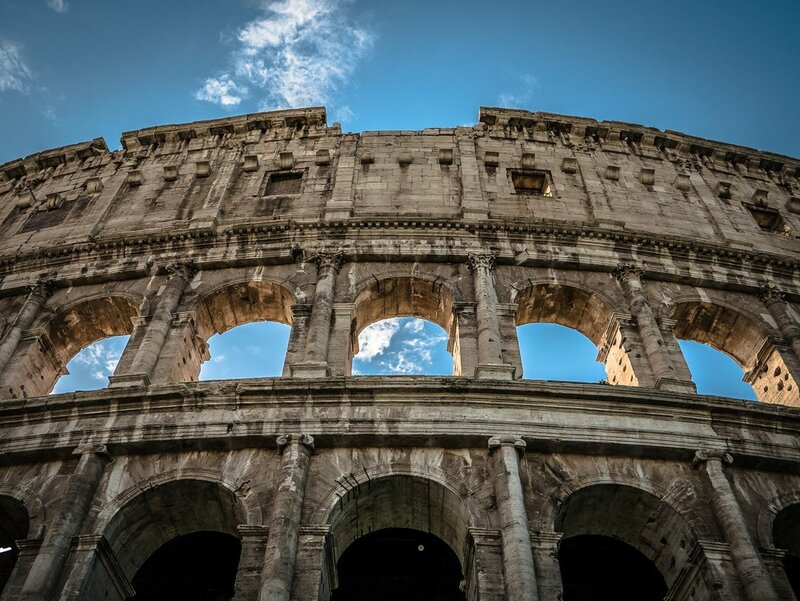 It became the go-to stage for gladiator fights, hunting shows, and even public executions for four centuries. Today, only 1/3 of the original structure remains due to damage from earthquakes and mining, but there’s been a renewed emphasis on restoration. Despite the destruction, the Colosseum is still a source of wonder and a must-see on any Roman holiday. The remarkable Maya ruins of Chichen Itza (Chichén Itzá) have been incredibly well-preserved. Located on the Yucatan Peninsula, it was one of the largest Maya cities and inhabited between the 5th and 13th centuries. When the Spanish arrived in the 16th century, Chichén Itzá had already been abandoned. This massive site is home to numerous structures with a variety of architectural styles. Perhaps the most iconic structure is El Castillo—a pyramid with 365 steps to represent the number of days in the Haab’ calendar. While visiting the area, be sure to check out the nearby ethereal cenotes. 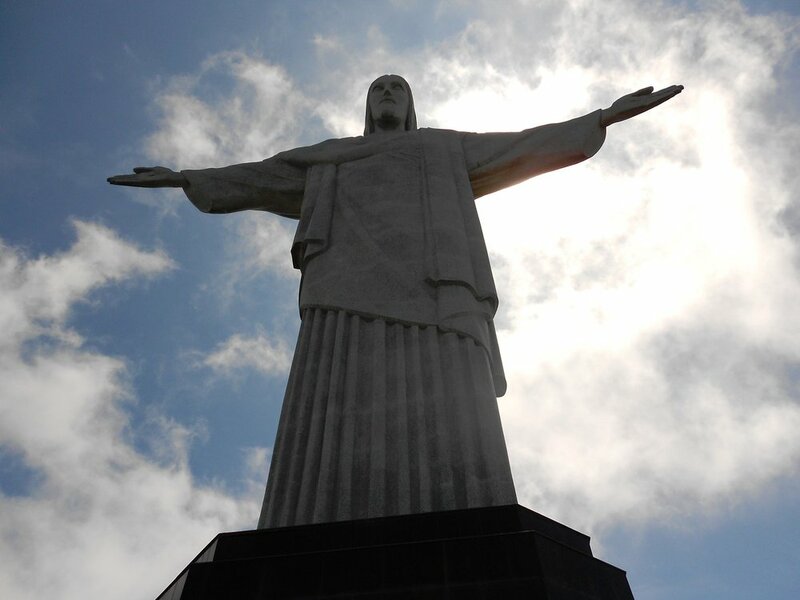 It’s no surprise to find Rio de Janeiro’s Christ the Redeemer statue on the list. At 125 feet tall and weighing over 1,000 tons, this towering figure receives over 2 million visitors every year. It was commissioned by the Roman Catholic archdiocese of Rio and built between 1922 and 1931—a time when 90% of Brazilians were Catholic. This giant Art Deco sculpture sits atop of the peak of the Corcovado Mountain and overlooks the city, adding to its grandeur; the panoramic views from the top are like no other! Rounding out the seven wonders of the modern world is the Great Wall of China. Truly a national symbol, the Great Wall holds high historic, tactical, and architectural importance. It took a long time to build, and construction lasted from 220 B.C. to 1644 A.D., with emperors from many dynasties overseeing the lengthy process. The Great Wall’s purpose was protection, specifically from northern invasions. Workers connected forts that existed before the project, and signal towers were built at the highest points. In the end, over 4,000 miles of fortification were built across mountain passes and ridges—strategically utilizing the area’s terrain. Some sections of the wall have crumbled, but the segment running east to west from southeastern Liaoning Province to northwestern Gansu Province is the best preserved. Last on our list are the Pyramids of Giza. This destination isn’t technically a new wonder, but it’s been given an honorary status as the last remaining wonder of the ancient world. Resting on the outskirts of Cairo, this mind-blowing site has long been a favorite of tourists across the globe. The towering Great Pyramids and Great Sphinx are a display of incredible skill and ingenuity. 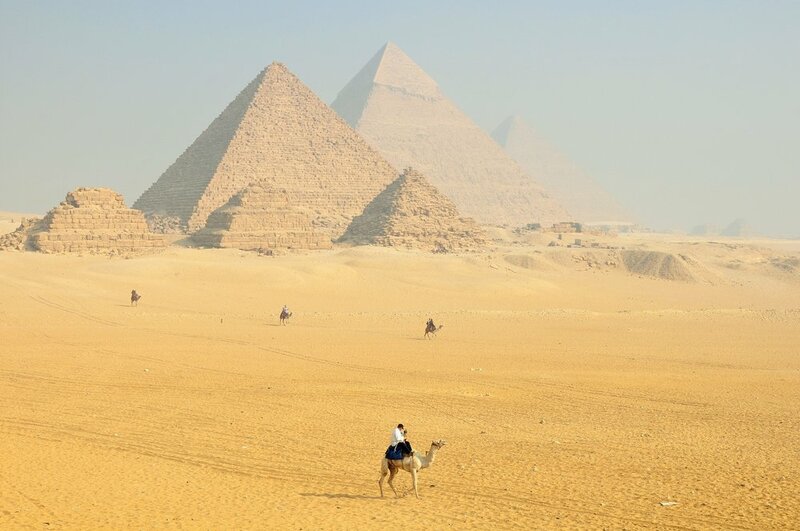 The largest of the pyramids was built over 3,000 years ago and still stands today. If you want to be involved in the decision of the New Seven Wonders of the World list, visit the New7Wonders Foundation to see when the next Poll with take place! Have just added all of these incredible destinations to your bucket list? Book a tour with us and get ready to marvel at the wonders of our beautiful World!